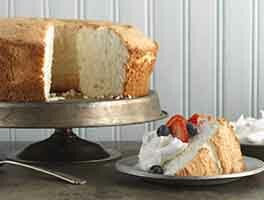 Angel food cake is one of the most versatile desserts we know. It pairs perfectly with fresh fruit or a flavored whipped cream, is excellent with Seven Minute Frosting for a sumptuous no-cholesterol treat, and is unforgettable with a drizzle of warm chocolate sauce. Preheat the oven to 325°F. Don't grease or flour your angel food cake pan. 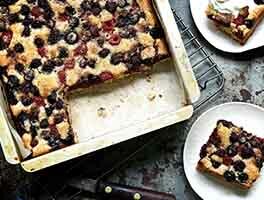 A 10" round pan or an angel food loaf pan will fit this recipe well. In a large bowl, whisk together the flour and 3/4 cup of the sugar. Set aside. In a large mixing bowl, combine the egg whites, salt, and extract. Beat until the mixture is just frothy, then sprinkle the cream of tartar on top and continue beating until the mixture forms stiff, glossy peaks. Add the remaining sugar, 1/4 cup at a time, then gradually fold in the dry ingredients. Spoon the batter into the pan, and bake the cake for 40 to 45 minutes, or until it's golden brown and the top springs back when lightly touched. Remove the cake from the oven, and set it upside down with a bottle through its center cone to keep its top from flattening on the counter. Let the cake cool for 1 1/2 hours. 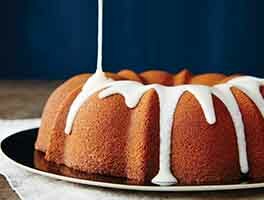 This cooling period sets the structure, and keeps the cake from collapsing. Loosen the edges of the cake with a knife, and remove it from the pan. Store the cake, covered, on the counter for up to a week. Freeze, well wrapped, for up to 3 months. Using our unbleached cake flour (instead of all-purpose flour) yields a taller, more tender angel food cake. Next time I make this I will add a 1/4 cup more flour. This is my first time making angel food cake. I thought it was fairly easy, and the results were good. It outside is slightly sticky and sweet, the best way to describe it is like cotton candy. This may be due to my "million year old" angel food pan that cost a dollar at the thrift store. My family likes the cake and I will make it again. This is a great way to use up the eggs my happy chickens give me. Next time I will cut the sugar by 1/4 cup or more as I found the cake a little too sweet to my liking. The BEST tasting Angel Food Cake ever!! Made it for a co-workers Birthday, turned out to be a big hit!! I went with 1/2 vanilla and 1/2 almond extract, this cake is so moist its impossible not to go for seconds. Dressed it up with blackberry raspberries & whipped cream! Will definitely be making this again! I made this cake today with almond extract as the flavoring. This is the BEST angel food cake I have ever made, and I'm a Grandma! Thank you so much for this recipe. This was my first Angel Food Cake - was very pleased with the results. A pretty cake with great texture and wonderful flavor. I used 3/4 teaspoon vanilla extract and 1/4 teaspoon KA Fiori di Sicilia. Was a perfect combination. Will definitely make this again and again. Followed directions precisely. Baked cake and looked perfect. Turned over my ungreased, non-stick pan and it promptly fell out of the pan. Disaster and trash can bound. Too bad, it tasted wonderful. I followed the directions for this recipe exactly. I was looking for a new angel food cake recipe that used all purpose flour as I did not have any cake flour on hand. I used my grandma's tube cake pan that I always use for my angel food cakes (it is NOT nonstick and the pan was not greased). When I removed this cake from the oven, it looked like the most beautiful angel food cake I have made. I inverted the pan to cool on a bottle. Within 10 minutes, the cake had fallen out of the pan on to the counter. Very disappointing. 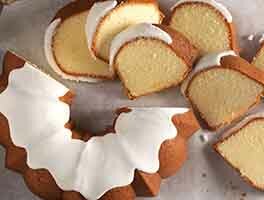 This makes a wonderful angel good cake, though I must admit I've never fully grasped the appeal of such a cake. But I bought the tube pan as part of my latest purchase just to know that I could make one. Mine was fully done much earlier than stated because of my oven. Moist and delicate without sponginess. I used a coffee Italian meringue as a frosting. 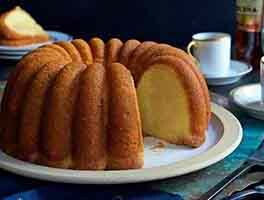 By the way, this excellent recipe is virtually the same as the Fannie Farmer Angel good cake. I have made this recipe, and would make a few changes. Mixing some sugar with the flour to be folded in leads to a dense cake. 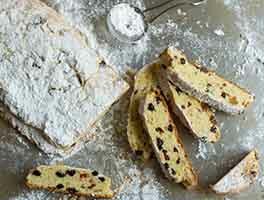 You should beat all your sugar in and do your flour separately. This should result in the light and fluffy texture of an angel food cake.